Taimyrite: Mineral information, data and localities. Named after its discovery locality, the Talnakh deposit, Noril'sk-Talnakh Ni-Cu camp, Taymyr autonomous district, Russia. Note: "Taimyrite-II" is a unapproved species. Compare the chemically similar copper-free Atokite. Magnetite 8 photos of Taimyrite associated with Magnetite on mindat.org. Chalcopyrite 8 photos of Taimyrite associated with Chalcopyrite on mindat.org. Talnakhite 5 photos of Taimyrite associated with Talnakhite on mindat.org. Sobolevskite 4 photos of Taimyrite associated with Sobolevskite on mindat.org. Parkerite 4 photos of Taimyrite associated with Parkerite on mindat.org. Stumpflite 4 photos of Taimyrite associated with Stumpflite on mindat.org. Pentlandite 2 photos of Taimyrite associated with Pentlandite on mindat.org. Shadlunite 2 photos of Taimyrite associated with Shadlunite on mindat.org. Silver 2 photos of Taimyrite associated with Silver on mindat.org. Galena 2 photos of Taimyrite associated with Galena on mindat.org. Zapiski Vserossiyskogo Mineralogicheskogo Obshchestva (1982): 111: 78-83. American Mineralogist (1983): 68: 1252. Barkov, A.Y., Martin, R.F., Poirier, G., and Yakovlev, Y.N. 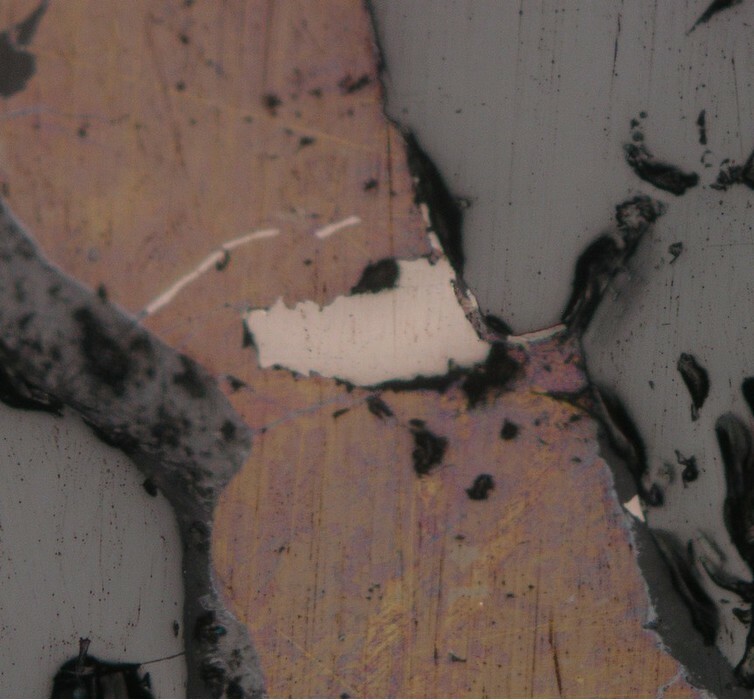 (2000b) The taimyrite-tatyanaite series and zoning in intermetallic compounds of Pt, Pd, Cu, and Sn from Noril'sk, Siberia, Russia. Canadian Mineralogist: 38: 599-609. Barkov, A. Y., Martin, R. F., Poirier, G., & Yakovlev, Y. N. (2000). The taimyrite–tatyanaite series and zoning in intermetallic compounds of Pt, Pd, Cu, and Sn from Noril’sk, Siberia, Russia. The Canadian Mineralogist, 38(3), 599-609; Czamanske. et al (1992). 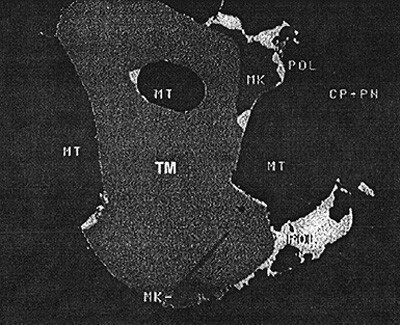 A Proton Microprobe Study of Magmatic Sulfide Ores from the Norilsk-Talnakh District, Siberia (Vol 30, Pg 249, 1992). Canadian Mineralogist, 30, 1189-1189.